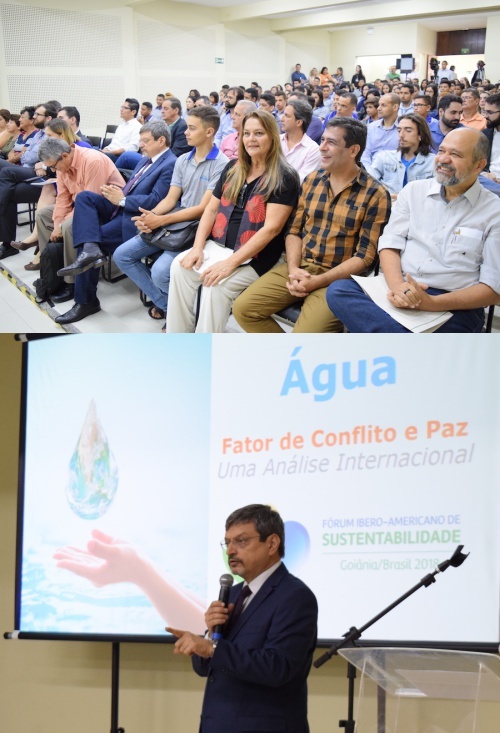 GOIÂNIA, BRAZIL, December 12, 2018— Global Peace Foundation (GPF) Brazil and the Pro-Cerrado Foundation organized the First Ibero-American Sustainability Forum in the state of Goias where students, youth, environmental advocates, and experts addressed environmental issues pertaining to the United Nation’s 2030 Sustainable Development Goals. Youth volunteers and GPF staff developed the program in collaboration with SAGRES, organizing activities and discussions for youth empowerment and social conscience through a live public youth debate on the local radio and television programs. Through leadership and development initiatives like this one, GPF acknowledges the pivotal role of young leaders in building a world of sustainable development and peace. Their energy, passion, and ability to dream beyond the current reality is a baseline that when combined with moral and innovative leadership, has infinite potential to transform communities and nations. Forum organizers expect to host a follow-up conference mid-2019 and will conduct the next sustainability forum in Peru.